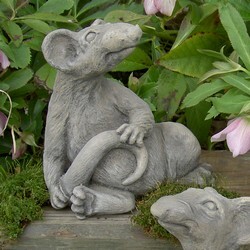 The Smokey Rat Garden Sculpture is hand made with care that features life like gestures and intricate detailing. 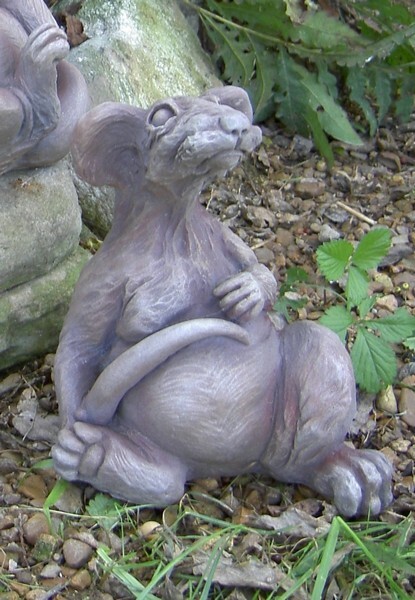 The rat is made of weather resistant solid hardened resin which can be used indoors or out. Our adorable little rats are appropriate indoors overseeing the wine and cheese tasting as they are outdoors in the garden. Collect all and stage an impromptu concert. The natural looking finish is in the material and will not peel or flake off. Height 8.5" Width 5.5" Length 5.5" Weight 4.5 lbs.